There have been further sensational developments in the Shia LaBeouf story following our groundbreaking reporting yesterday evening. Sources tell us that the actor, who has been livestreaming himself watching his own movies for the past two days (really), fell asleep during Transformers 3: Dark of the Moon. 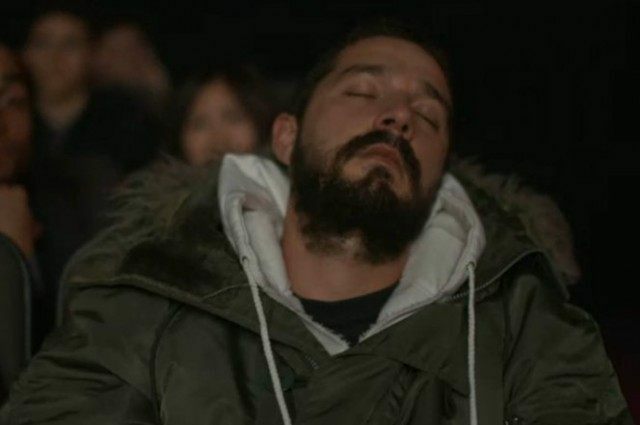 Stunningly, Page Six reports that LaBeouf then fell asleep during the first Transformers movie as well. It’s unclear whether LaBeouf is planning his naps, which would indicate some measure of cinematic judgement, or whether his own acting is sending him to sleep unintentionally. LaBeouf’s marathon livestream, which is now being feverishly monitored by observers on the #ALLMYMOVIES hashtag is due to conclude later today. We will bring you further developments as they unfold.